NEW YORK (October 26, 2018) – A new study by WCS, American Museum of Natural History, and other partners uses long term data on bear mortality to map high-probability hot-spots for human-bear conflicts. The authors say this is a critical tool for wildlife managers to reduce mortality of bears as they recolonize their former range in the Great Basin and in other parts of the country. The study, which appears in the latest issue of Global Ecology and Conservation, represents the latest information from the first and longest running effort to understand the impact of an increasing human footprint on American black bears at the wildland-urban interface. The authors looked at expanding bear populations in the Lake Tahoe Basin and Western Great Basin Desert in Nevada, examining 382 bear deaths between 1997 and 2013. They found that the largest causes of mortality were vehicle collisions (160) and management removal of bears (132) due to animals breaking into people's homes and/or causing property damage, or other threats to human safety. The authors say that by understanding the causes and consequences of mortality on bears using long-term data, wildlife managers will be able to reduce bear deaths in urban interface areas where bears could otherwise be killed more frequently. Said the study's co-author Jon Beckmann, Science Director of WCS's Rocky Mountain West Program: "Ultimately the goal of conservation is to have more individuals of species like bears and other carnivores on landscapes like we have accomplished in the Great Basin, but we then have to understand how to limit their mortality that results from conflicts with humans." Lead author Rae Wynn-Grant from the Museum's Center for Biodiversity and Conservation suggests "This approach to understanding local drivers of bear mortality can be replicated in other areas where human influence varies across the landscape. We were surprised to find subtle indicators of human activity were important drivers of bear mortality risk, an important finding for wildlife recovery efforts." WCS and Nevada Department of Wildlife (NDOW) currently use this information to try and reduce mortality of bears in areas where bears already occur, and to predict hot-spots of human-bear conflict as they currently recolonize their historical range in the state of Nevada. 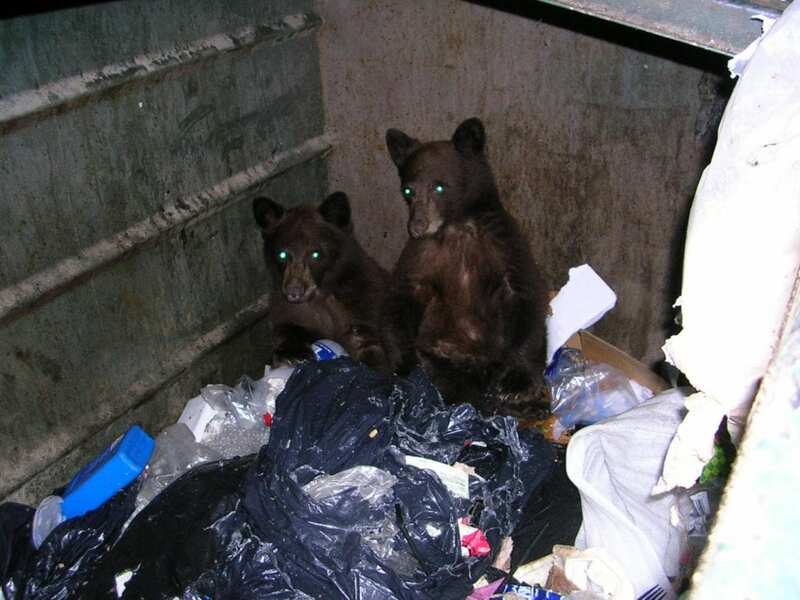 In the Great Basin, bears are returning after an absence of 80-plus years due to recovering habitats and WCS/NDOW conservation efforts such as the Bear Aware Campaign, changing regulations, and policies prohibiting the feeding of wildlife along with ordinances requiring bear-proof dumpsters in many regions of western Nevada. These efforts have led to the bear population expanding in number and geography over the past several years, resulting in bears showing up in areas of central and eastern Nevada. The authors say that these conservation successes can be a model for other places, including in New York and New Jersey, and areas throughout the U.S. that are dealing with increasing human-bear conflicts at the wildland-urban interface. In addition, the authors say there are lessons for other regions of the globe where large carnivores occur in these wildland-urban interface areas such as lions at the wildland-urban interface of Nairobi, Kenya. The American Museum of Natural History, founded in 1869, is one of the world's preeminent scientific, educational, and cultural institutions. The Museum encompasses 45 permanent exhibition halls, including those in the Rose Center for Earth and Space and the Hayden Planetarium, as well as galleries for temporary exhibitions. It is home to the Theodore Roosevelt Memorial, New York State's official memorial to its 33rd governor and the nation's 26th president, and a tribute to Roosevelt's enduring legacy of conservation. The Museum's five active research divisions and three cross-disciplinary centers support approximately 200 scientists, whose work draws on a world-class permanent collection of more than 34 million specimens and artifacts, as well as on specialized collections for frozen tissue and genomic and astrophysical data and on one of the largest natural history libraries in the world. Through its Richard Gilder Graduate School, it is the only American museum authorized to grant the Ph.D. degree and also to grant the Master of Arts in Teaching degree. Annual visitation has grown to approximately 5 million, and the Museum's exhibitions and Space Shows are seen by millions more in venues on six continents. The Museum's website, mobile apps, and massive open online courses (MOOCs) extend its scientific research and collections, exhibitions, and educational programs to additional audiences around the globe. Visit amnh.org for more information.